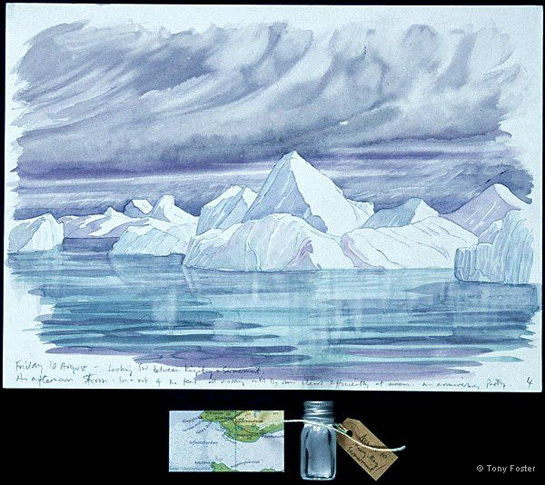 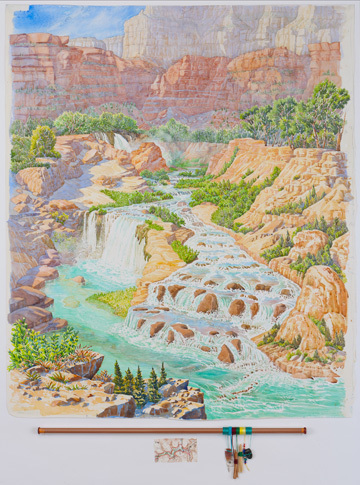 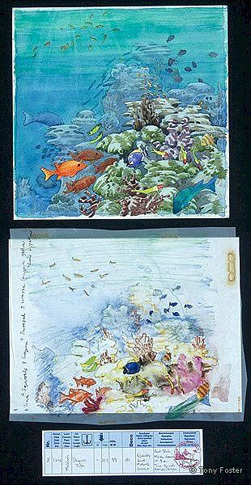 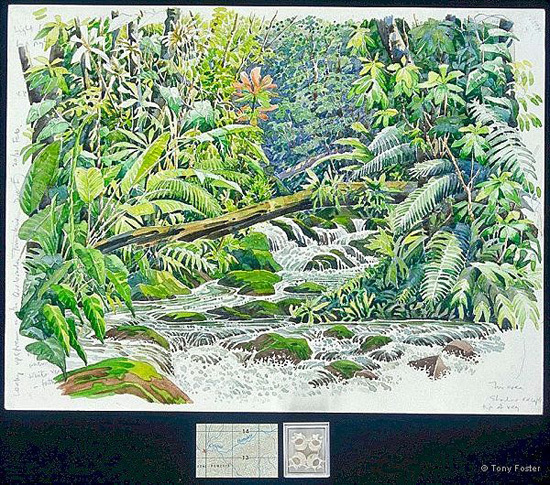 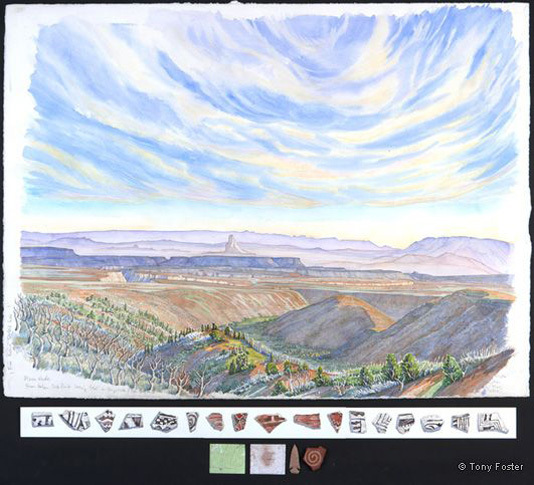 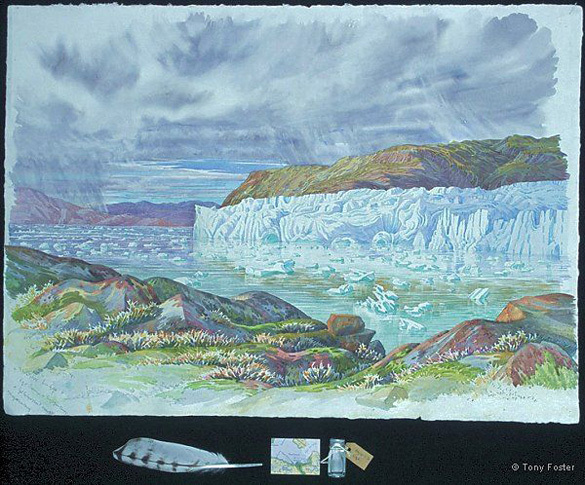 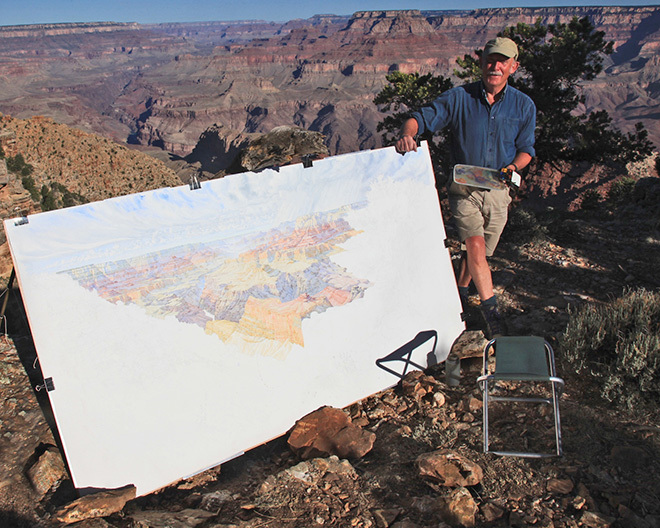 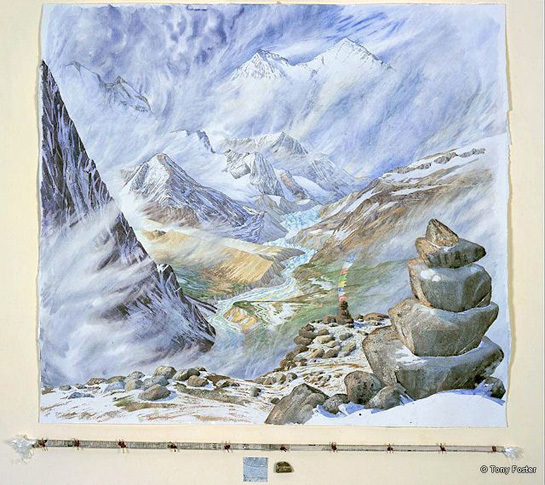 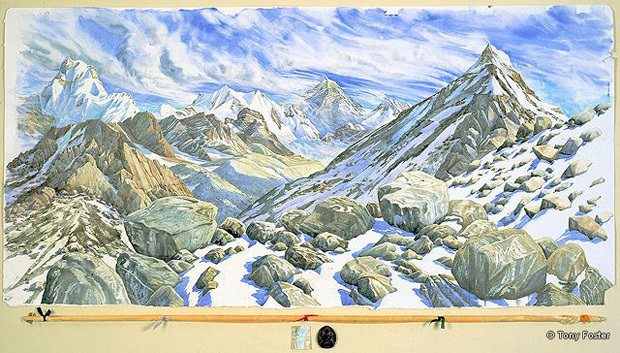 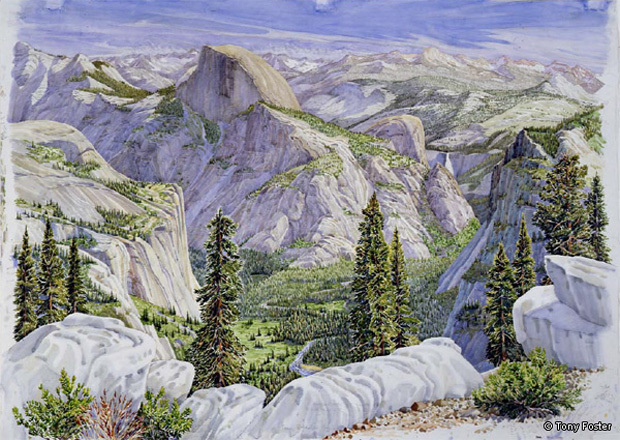 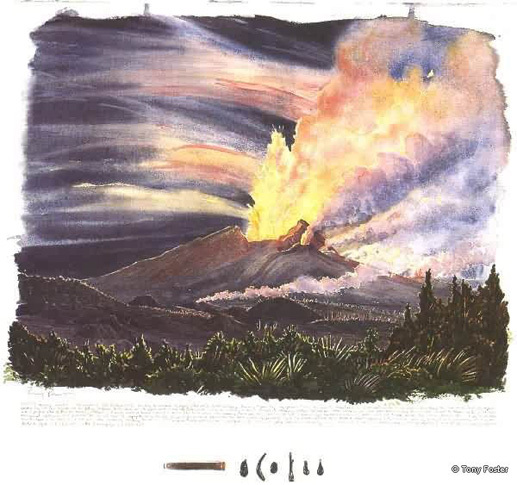 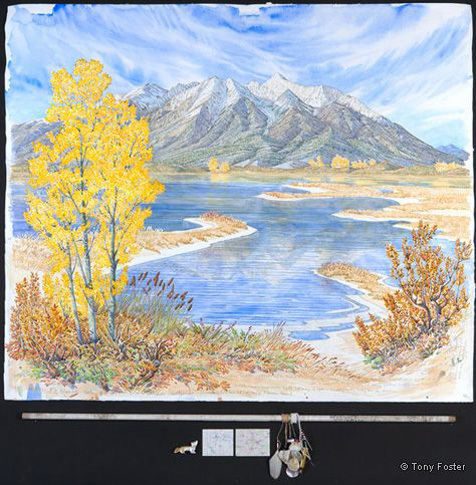 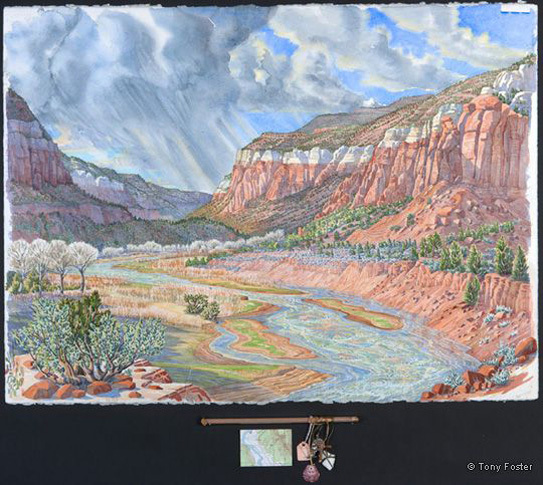 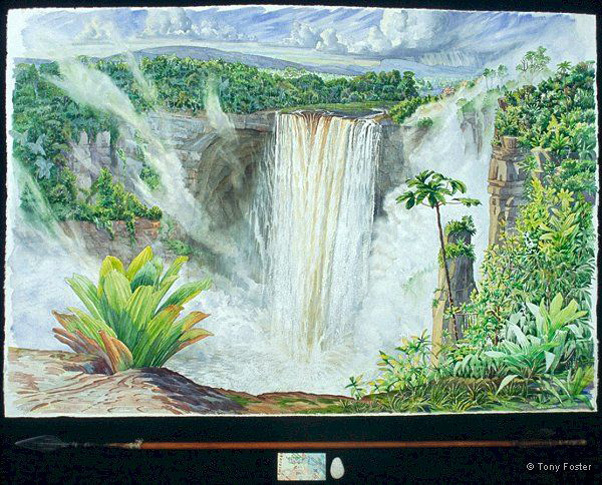 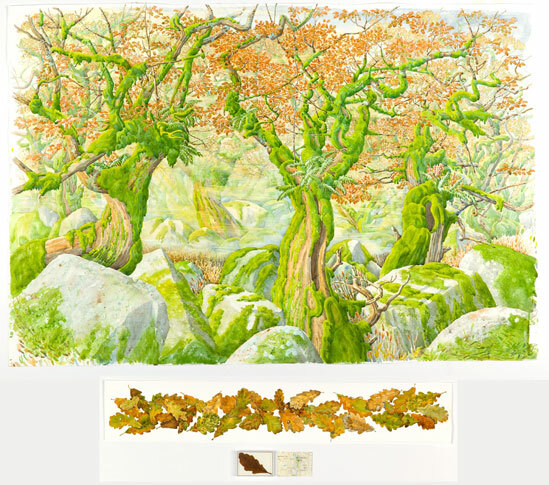 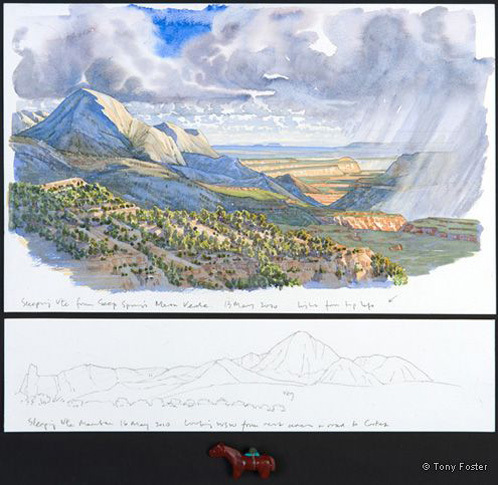 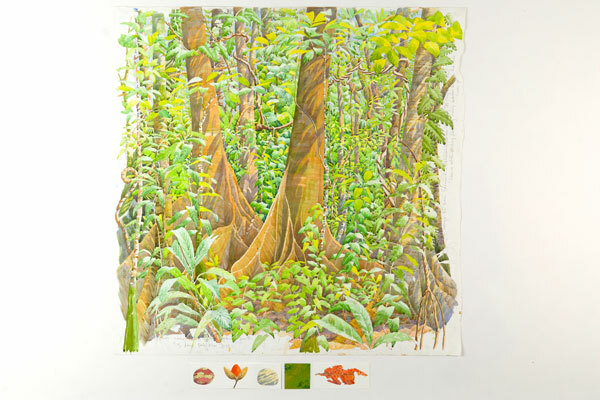 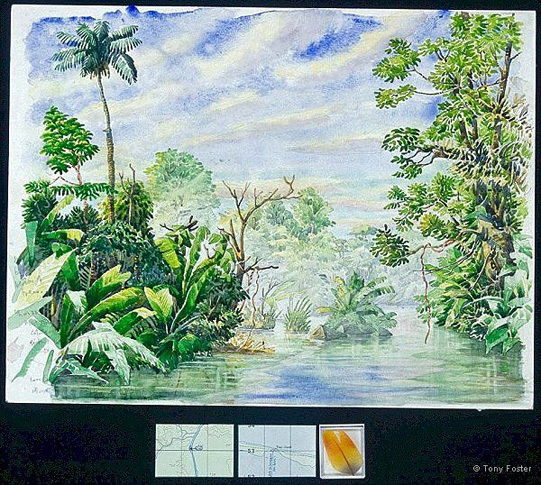 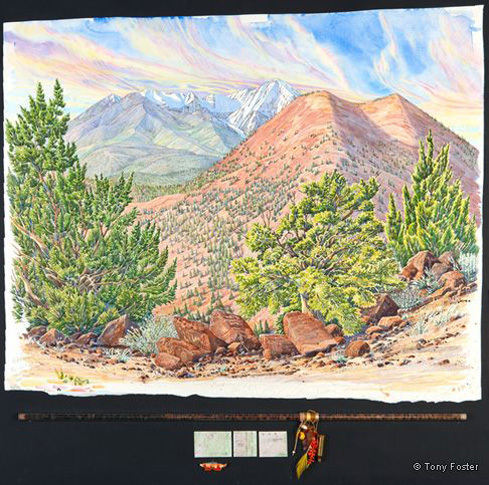 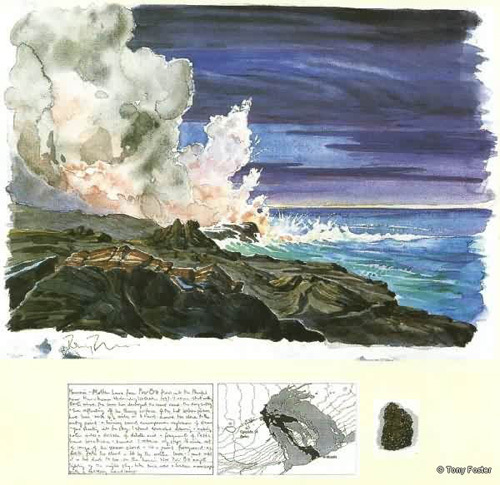 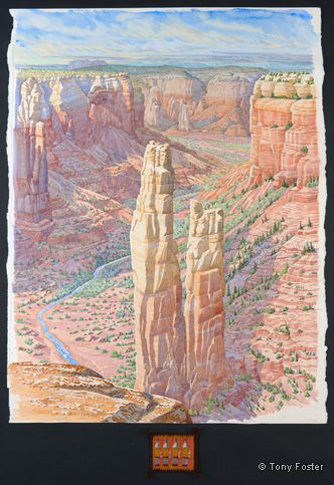 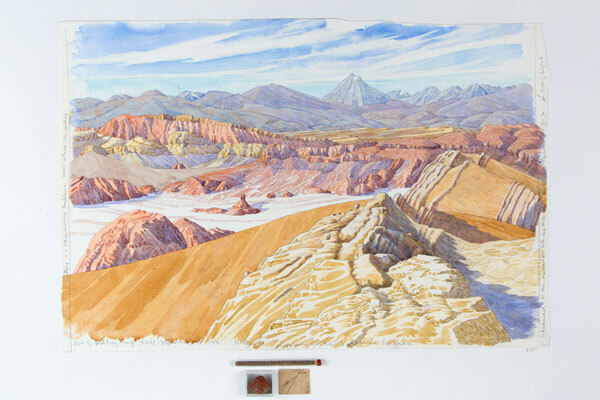 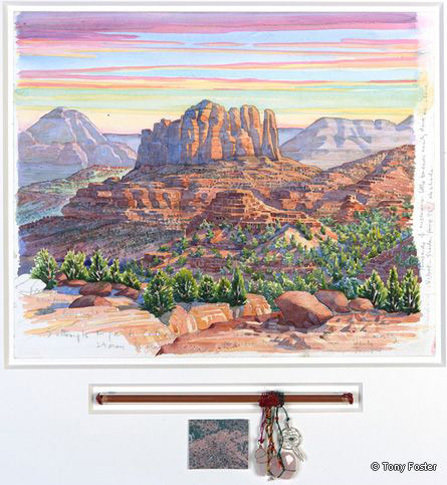 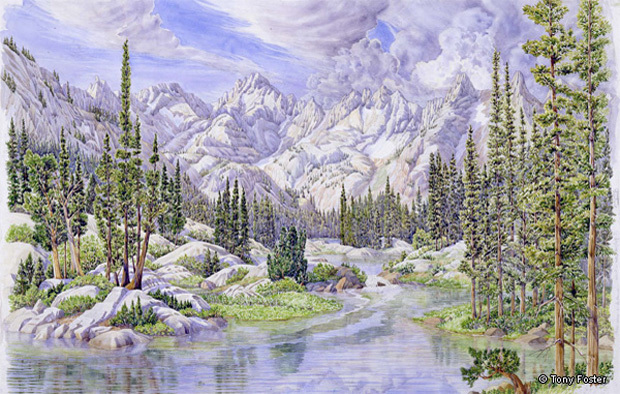 For nearly 35 years English artist Tony Foster has worked in the World’s wildernesses - mountains and canyons, rainforests and deserts, the Arctic and the Tropics. 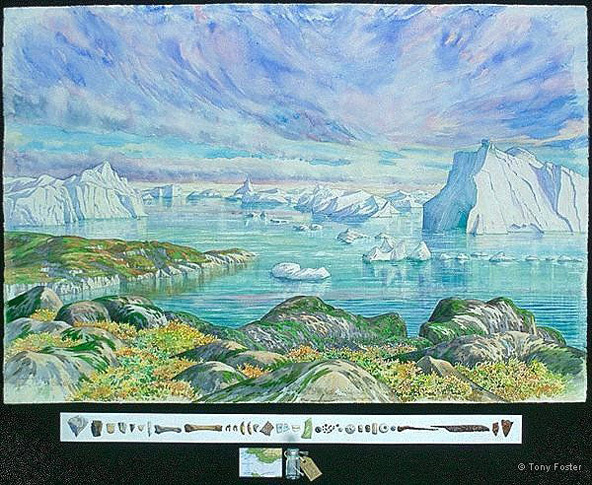 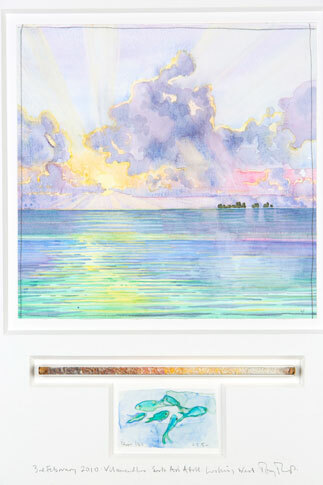 Travelling slowly - on foot or by canoe or raft, and carrying his painting and camping equipment he makes his paintings in response to what he finds on his journeys. 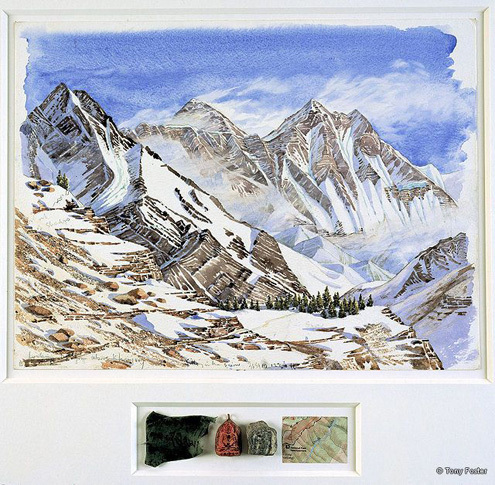 He does not use photography or sketches but makes his paintings on site, often in the most difficult and uncomfortable circumstances. 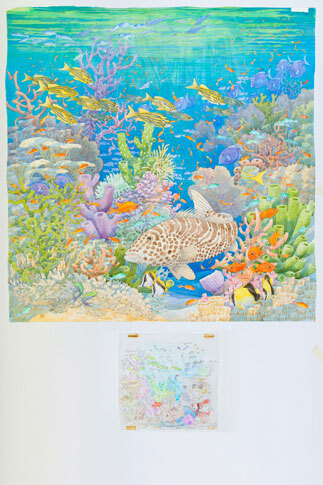 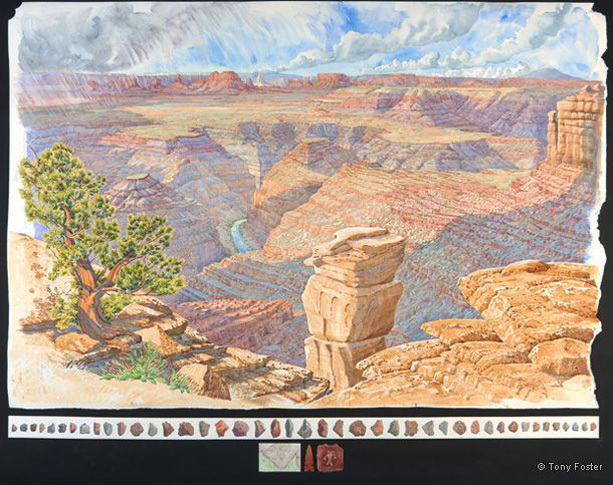 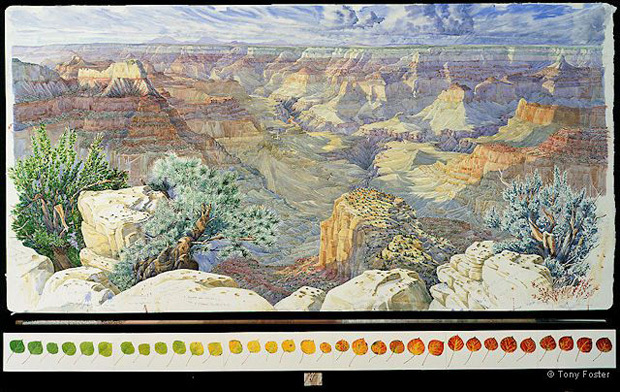 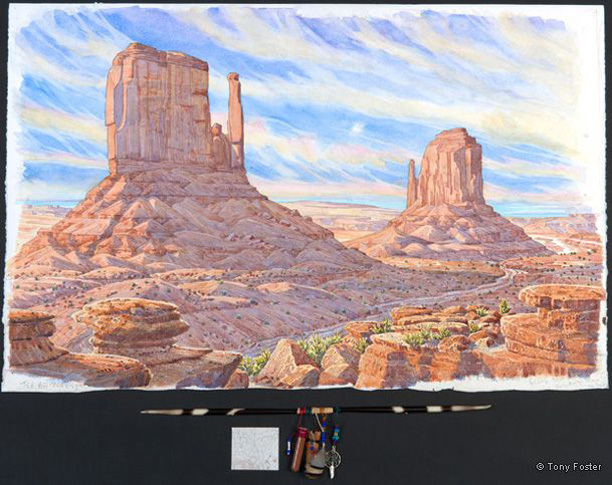 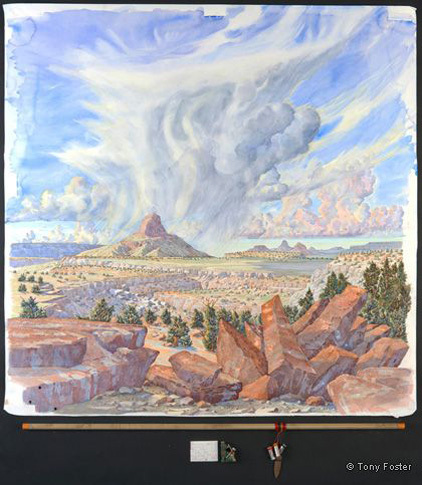 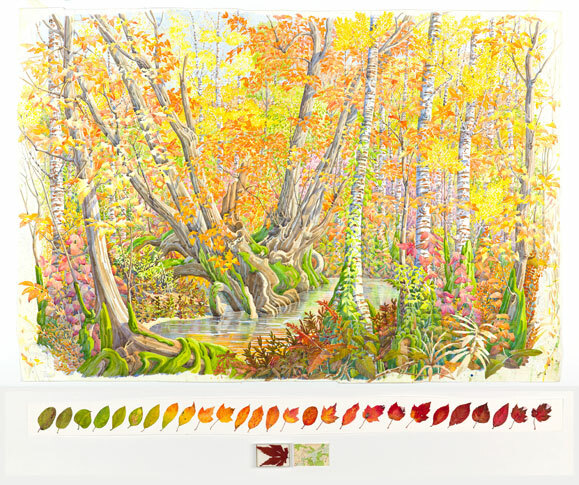 Sometimes a large-scale work (up to 7 feet by 4 feet!) 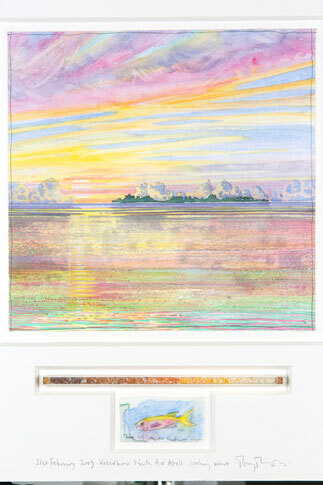 will take more than two weeks on site before it is sufficiently resolved to roll into its aluminium tube to be completed in his studio in Cornwall. 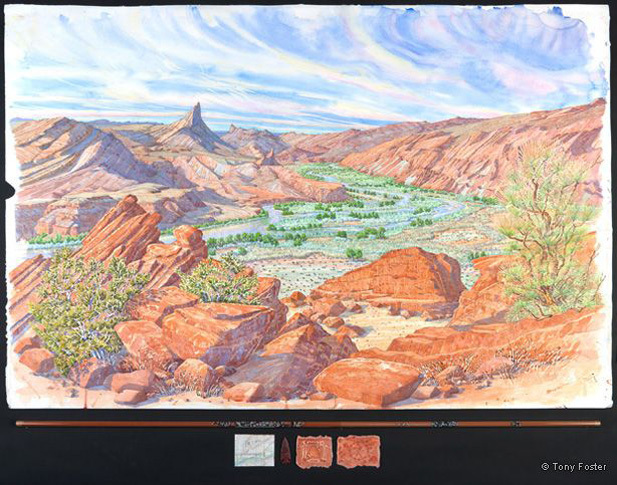 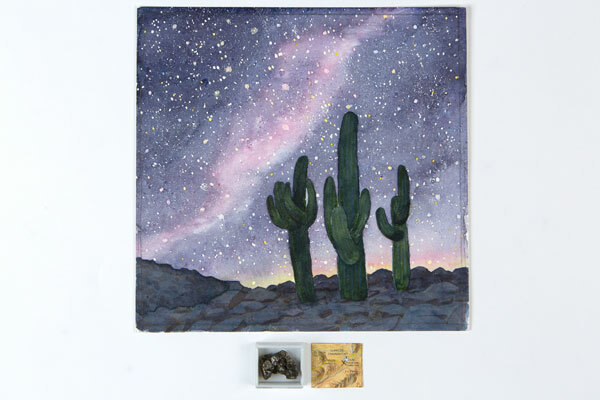 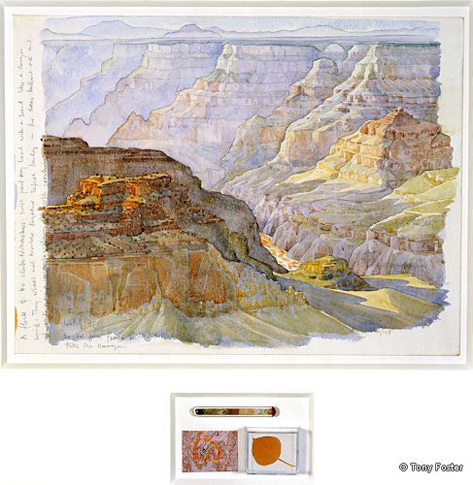 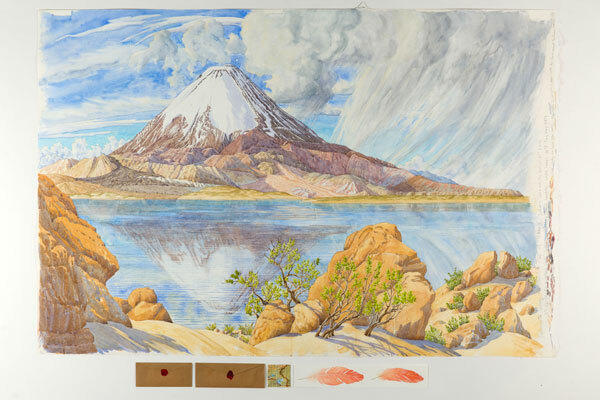 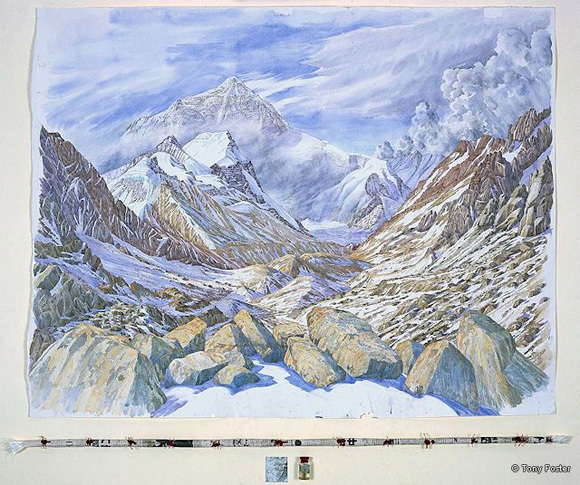 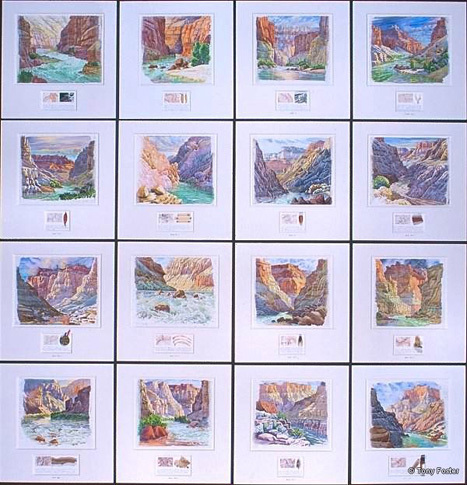 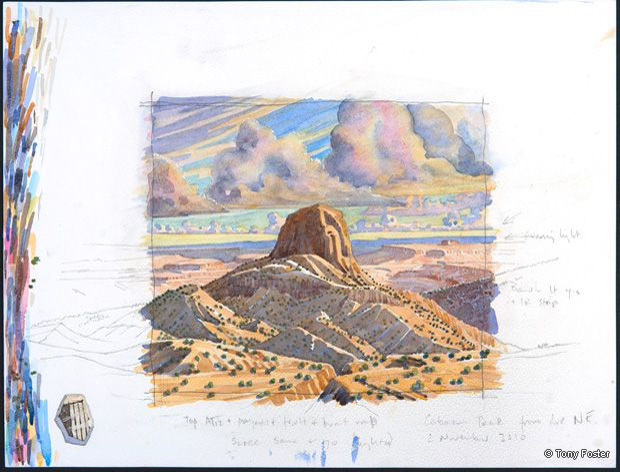 The paintings are not simply landscapes - by their inclusion of written notes and symbolic objects they record his observations and experiences during his time in the wilderness. 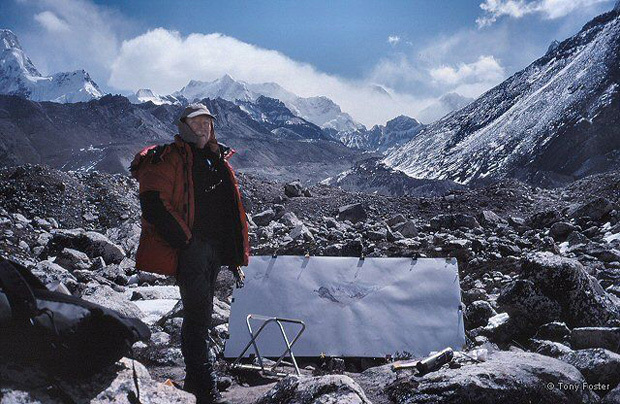 In it I hope to promote the idea that making art which is philosophically positive and beautiful about some of the world’s most extraordinary places is an acceptable practice for a Contemporary Artist. 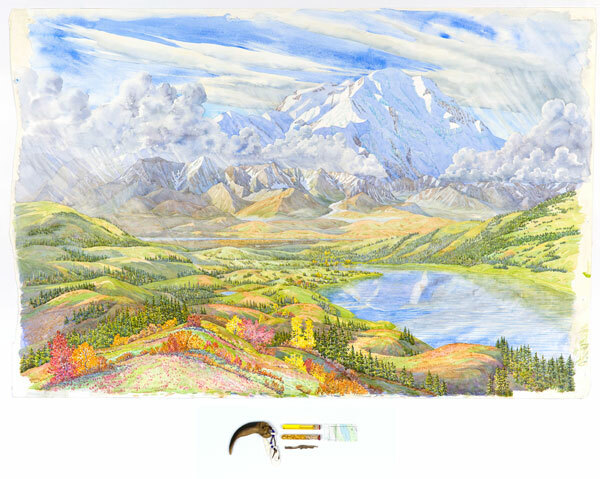 I want to provoke a discussion about the nature of beauty and our varied perception of it, and why making beautiful objects is not longer a part of the artist’s required skill-set.